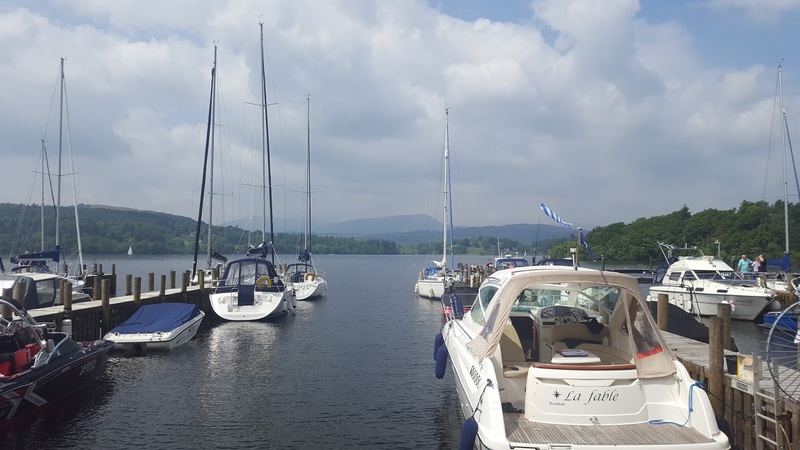 We recently visited White Cross Bay Holiday Park, which is a caravan and lodge park, that benefits from a beautiful lakeside setting and is nestled amongst the Lake District countryside a very short distance from Bowness-on-Windermere. It was very easy to find from the main road, and there are several signs once you get close to help you find your way, followed by a large sign on arrival, so you really can't miss it. There is a small parking area by the main reception where you can park up whilst going to check in, and to get your code to operate the barrier system, which helps to keep the site safe and secure. The reception area has recently been renovated following on from the Cumbria floods last year, and it has a smart, fresh appearance, with staff on hand ready to help. As it was a lovely sunny day when we arrived, they had actually moved the check in outside, which is a nice idea, and children had their own separate check in table, where they could pick up a goody bag that contained some colouring items, sweets, a toy and a schedule of activities which was a lovely touch and very welcoming. Just inside the main door there is a large selection of leaflets on local attractions to help you plan your week, and adjacent to that is a noticeboard that details the activities and entertainment for the coming week. We received a great welcome which meant we had a great start to the holiday. 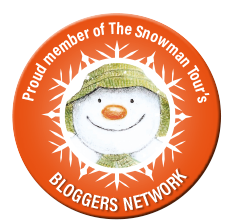 The site is nicely set out, and the different areas of the park have been named, so that it makes it easy to find your accommodation. The lodges and caravans all seemed to occupy nice sized plots, with space outside to sit in the sunshine or for the kids to have a play. Once we had found our accommodation we quickly unloaded the car and went to explore our new surroundings. 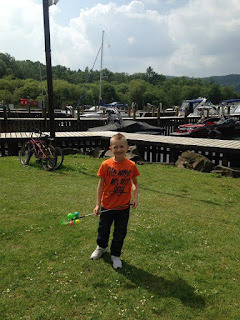 The first place we visited was the lakeside where we saw lots of lovely boats. There was still some visible damage from the floods that they have obviously been working hard to repair and it was quite shocking to see how high the water had actually got. The lakeside was very picturesque and Riley loved seeing all the ducks and swans by waters edge. We were fortunate to have lovely weather for our arrival, so we had a great walk all around the site, had a quick wander around the facilities, and enjoyed an evening drink in the bar area whilst the children played on the playground, before returning to our lodge and relaxing on the decking and in the hot tub! The following day there was a family fun day. 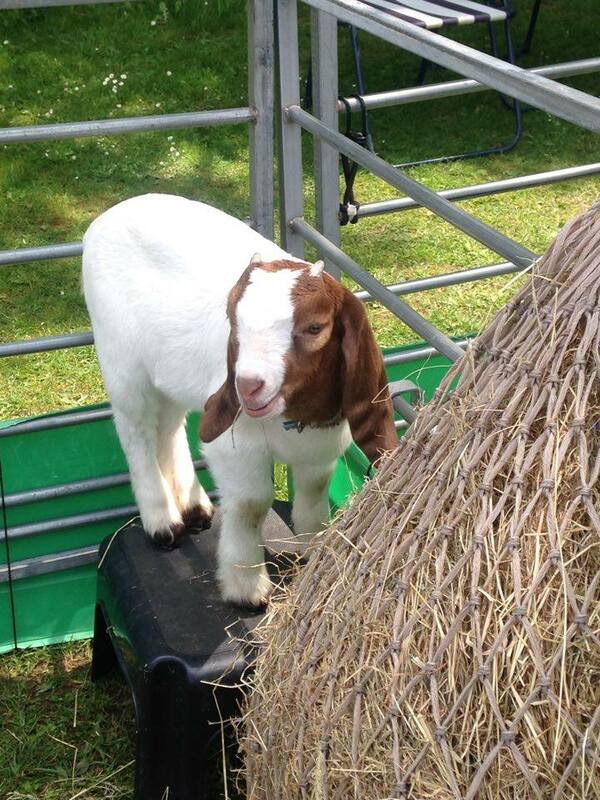 Everyone was welcome and there were free activities for all to enjoy along with a small petting zoo. The leisure staff were really friendly and welcoming and encouraged my children to take part in all the activities that were on offer. 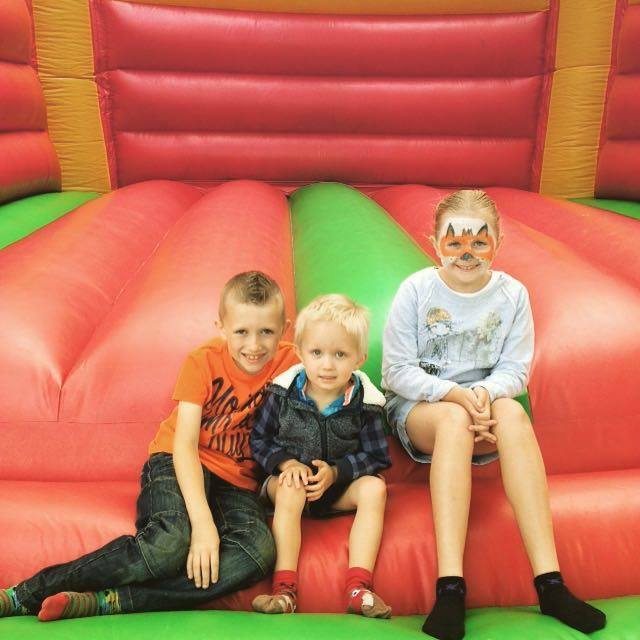 There were two bouncy castles available, one for the smaller children and another for the older ones which my children really enjoyed. Next to these was a gladiator game, where you stood on podiums and tried to knock each other down onto the bouncy inflatable below. This was great fun to participate in and also really funny to watch others enjoy it too. Under a sheltered canopy, next to the gladiator game, we found some lovely polite staff serving drinks and food at really reasonable prices. The burgers were absolutely delicious, and there was a nice choice of drinks available for both children and adults. 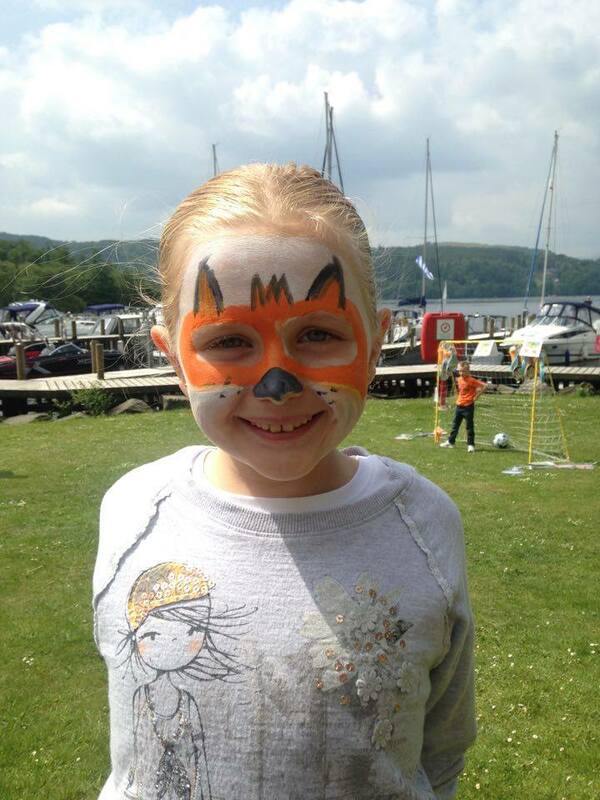 Alongside this, was also face painting which was free of charge, and my daughter enjoyed being turned into a fox! There was a "Beat the Goalie" game which proved to be really popular, again this was free of charge and you could win some great prizes. My children won a mini golf set each, and we really appreciated the gesture of the goalie, when he let my 3 year old score. I thought this was really kind of him as he could see how much my little boy wanted to try, but knew he probably wouldn't have scored without his help. The smile on my little boys face for the rest of the day was priceless! Towards the far end of the grass area was a small petting zoo where the children could meet and stroke some animals, including ducks, goats and chickens. 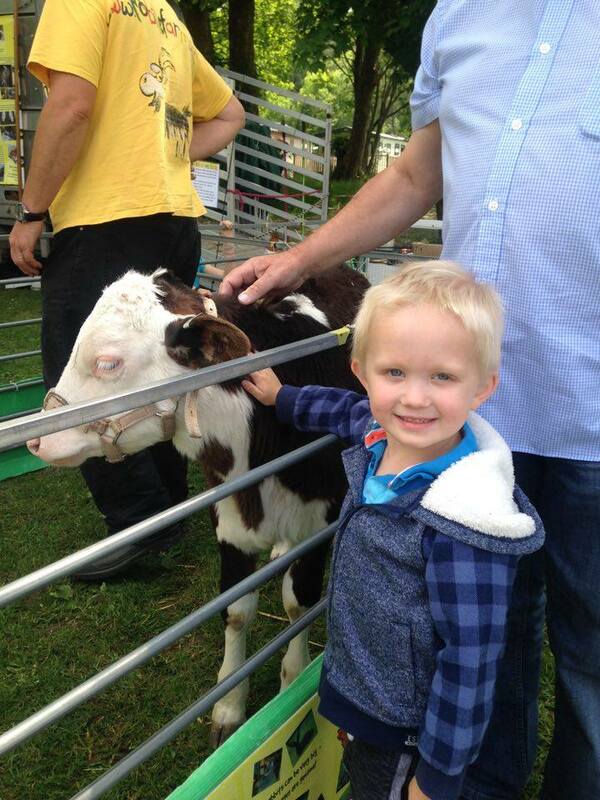 My youngest child Riley absolutely loves animals so he was in his element. 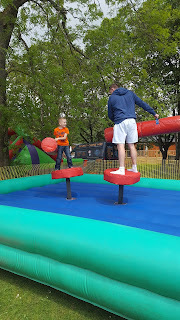 We managed to enjoy a good couple of hours at the fun day and we were made to feel so welcome by all the staff. I asked the leisure manager whether the fun days were held every weekend and he explained that although not every weekend, they do put regular events on throughout the year, so if you are planning a visit it is worth checking out the White Cross Bay facebook page here, to see what events are planned during your stay. In the evening we ventured to the restaurant for evening meal. We found the menu to feature a large variety of dishes that all looked and sounded delicious. There were plenty of tables available early in the evening when we visited, and the restaurant was nicely spread out amongst clean and modern decor. When you are ready to order, you do need to order at the bar, so there can be a bit of a queue as it gets busier, but the staff work hard to serve as quickly as possible whilst also being polite and courteous and not making you feel rushed. Our initial thoughts of the menu were that some dishes were quite expensive, however when our meals arrived, the food was both delicious and plentiful and we ultimately felt that the price accurately reflected both the quality and quantity of the meal. They do also have deals throughout the week for early diners, aswel as some offers on desserts, and when we visited there were a large selection on offer for only £2 each, so it is worth checking what deals are on offer whilst you are there. Within the bar and restaurant area there is a small arcade that features a variety of games along with plenty of 2p machines, which was great for keeping the kids occupied whilst they waited for their food, without it costing a small fortune, and in addition to the arcade there was also a park outside. After our meals we moved to a table outside so that we could enjoy our drinks outside whilst the children played safely on the park. They made many new friends very quickly, and we definitely felt that we had made the right decision in choosing to stay at White Cross Bay. On the Sunday we had booked for a family swimming session in the morning. You don't always have to book in advance but on busier weekends it is recommended that you book a slot, in order to ensure as many families can have a swim as possible. This method seemed to work quite well, however unfortunately just as we were getting ready for our session there was a power cut which plunged the changing rooms into complete darkness. We were asked to evacuate in accordance with their health and safety policies and told to wait outside. This didn't bother us at all, as at the end of the day, peoples health and safety has to be a priority and the staff added time on to the end of our session time. Sadly there were some families that were annoyed by this, and I was quite appalled by the manner in which some customers spoke to the staff. This is where I would like to highly commend the leisure staff, as despite being spoken to really rudely by several people demanding to be let back inside the building, the staff continued to remain polite and courteous and spoke to everyone in a very professional manner, despite it probably being very tempting to tell them where to go! Once everything had been checked and power restored, we were allowed back in and enjoyed the session. The pool temperature was just right, and there was plenty of space for everyone. In addition to the swim sessions, they are many other bookable activities available throughout the week for a small charge. As we had days out planned for most of our stay we didn't participate in any of the activities but they included such things as archery, football and water walkerz to name a few. In terms of location, we found this site to be ideal. There was the wonderful attraction of Brockhole, literally 10 minutes walk away, or a couple of minutes in the car, and Bowness-on-Windermere was only a short drive away. 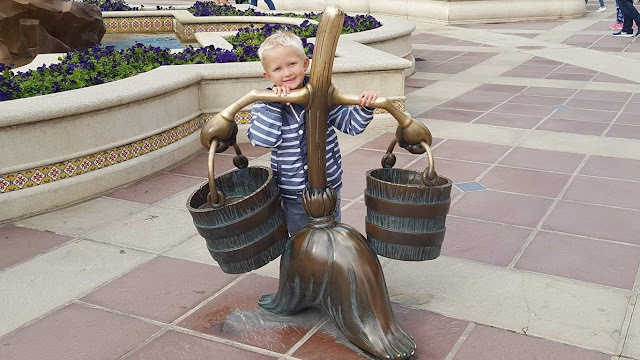 All the attractions we visited and that are listed on the left hand side menu were all within a 30 minute drive, so there was definitely plenty to see and do around the area. Overall I would highly recommend White Cross Bay. We had booked our accommodation with an external provider on this occasion, but if we return in the future we will definitely look to book directly with the site, as they have a wide range of caravans and lodges available to suit all budgets and families. Disclaimer: This review was written of my own accord based on my own opinion, and I received no payment or incentive for this review.